Welcome to Liverdun, a green holiday resort of 6000 inhabitants. You camp at the foot of the medieval village, at the leisure base "The loop of the Moselle". Enjoy all the amenities of the campsite: restaurant, bar, outdoor pool, new sanitary ... to live an authentic relaxing stay by the river. Your place of stay is located in full nature, close to all the centers of leisure and the main axes of the area. The place is ideal to visit Nancy, Metz or the Natural Parks. Lorraine will reveal itself to you: gastronomy, green tourism, exceptional heritage, a long history and unique craftsmanship. Leisure center: barbecue, picnic, playgrounds, ping-pong tables, mini-golf, initiation to rowing, tennis, mini-football, beach volleyball, petanque. 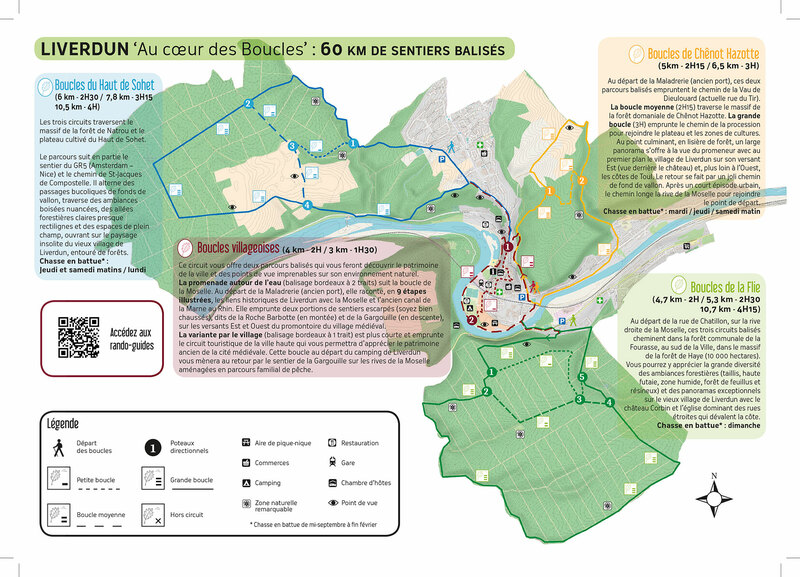 Hiking (80 km of marked trails). Fishing (pikeperch, catfish, pike), night fishing (carp). 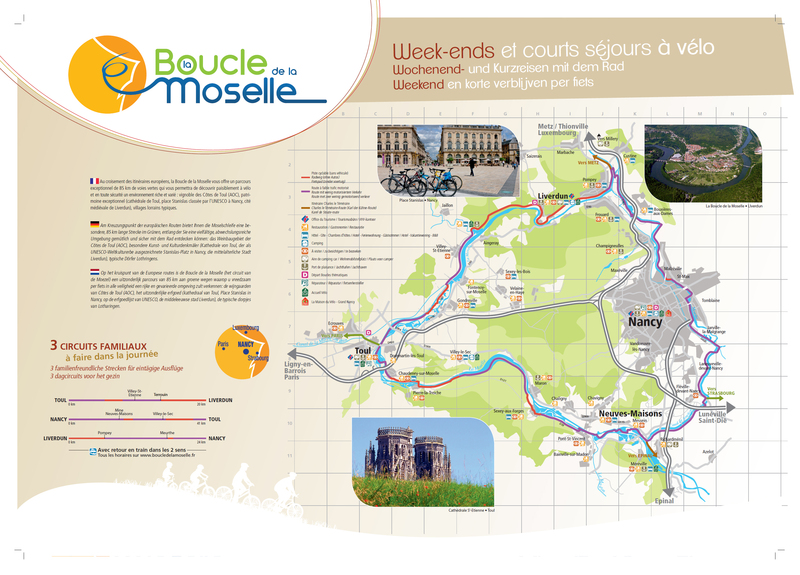 Cycling (from the campsite) to the Boucle de la Moselle. Cycling: many secondary routes from the campsite. Visits of medieval Liverdun (route of the madeleine). Epinal, Verdun, Commercy and Vaucouleurs in the footsteps of Joan of Arc, Saint-Mihiel, Pays des Etangs, Vic-sur-Seille, Coline de Sion, Castle of Lights Luneville. Everyone is welcome at the campsite de la Moselle: with family, group, hikers, pilgrims of Compostela, LGBT, cyclists, whether you are in a caravan or a camper, coming with or without tent or even by boat, provided you bring your good mood! Welcome to you all!